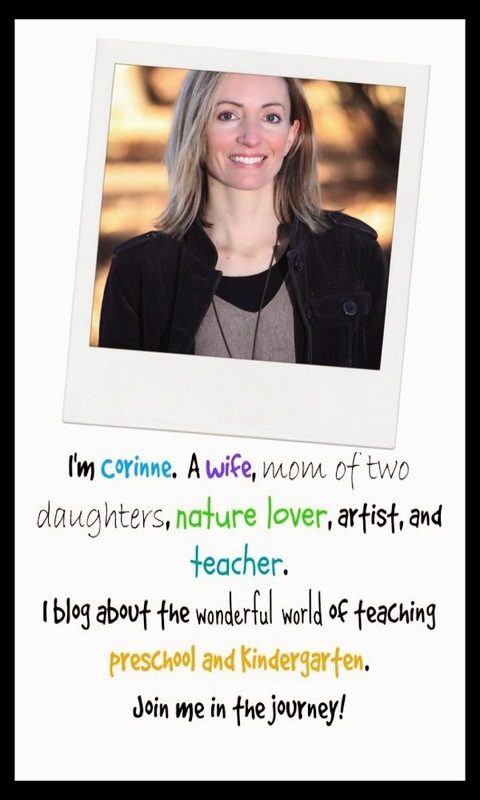 Teach Easy Resources: Watch out! There's Dinosaurs at Preschool! I love dinosaurs (and my new dinosaur unit!) because I'm fascinated by "animals" (even extinct ones) and also because studying dinosaurs takes my curriculum into the realm of "science." An area that, I must admit, is sometimes neglected in our classroom! 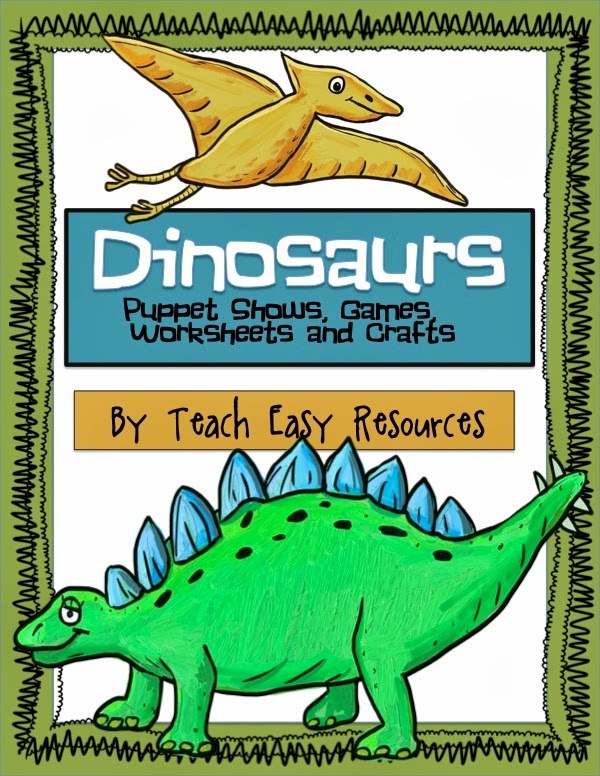 My dinosaur unit includes a puppet show that introduces students to basic dinosaur information; including a popular theory about why dinosaurs may have gone extinct. The puppet show is based upon a very easy to follow script that can be taped to the back of your theatre so that you can read it as you perform. Here is an image of some of the puppet show characters. Just print and add a popsicle stick to the back so that you can easily hold them. 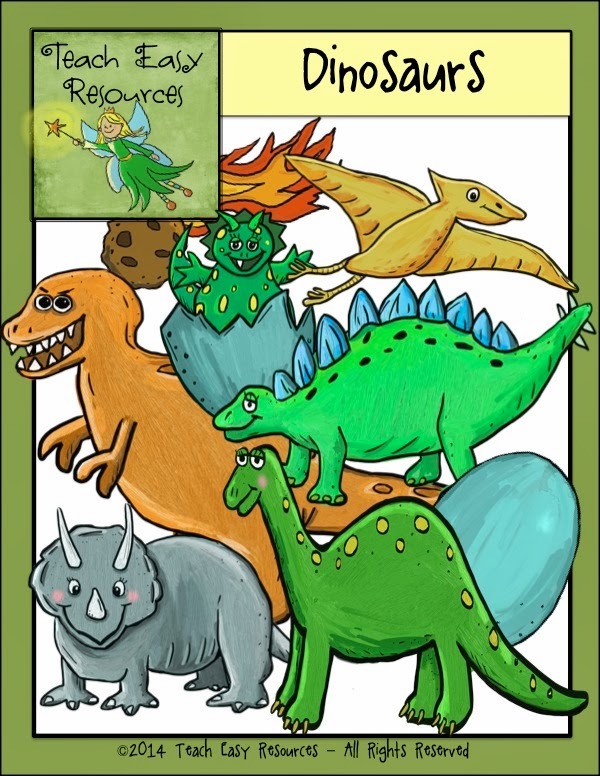 For those of you needing dinosaur images for other projects, I have also made the above dinosaur images available as a clip art set in my shop HERE. They are png images on a transparent background and can be resized as needed. Now, I don't know about your students, but I know my students love to perform in front of an audience. All 20 of them! So in my unit I also included a modified version of the script so that students can perform a simpler version of the show for each other and/or a parent audience. This teacher narrated script for the students is designed to be very easy for a class of preschoolers to follow, and does not require a big time commitment to learn or set up. The idea is just for the kids to have fun and to enjoy the experience of performing in front of an audience. Some of the props for the student version are designed to be completed by the children as an art activity. Templates and samples have been provided. Additional props include a sign featuring the name of the puppet show and a set of puppet show tickets. The students can hand out the tickets to the audience as they arrive to watch the show and then collect the tickets as they enter the theatre area. Just like a real show! You can see a variety of these props in the collage below. If you're wondering how you'd create a puppet theatre for this show, I recommend using a table tipped on its side. If you have a large class, just tip over a few more tables and then line them up edge to edge. 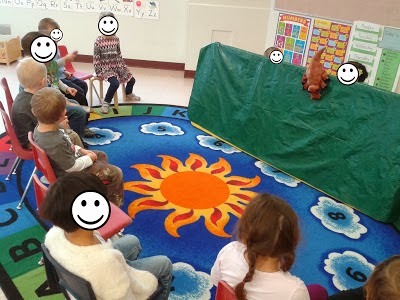 Here is a picture of our "theatre" in use by a few students one day at centre time. It may just be a table, but it works! And it actually works better than an actual puppet theatre because there's so much room behind it for the performers. In addition to performing puppet shows, another great part about studying dinosaurs is getting the opportunity to play "scientist." 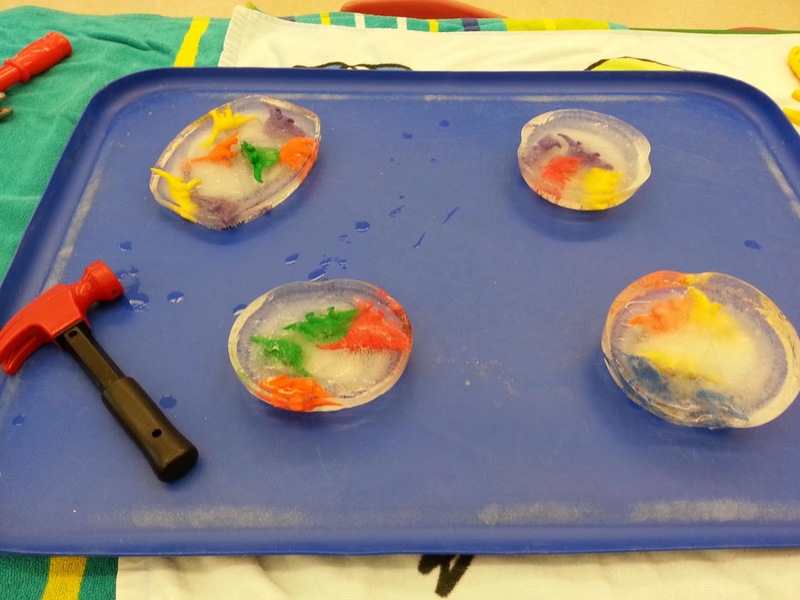 One way we have students take on the role of a scientist is by having them "excavate" dinosaurs that are frozen in ice. 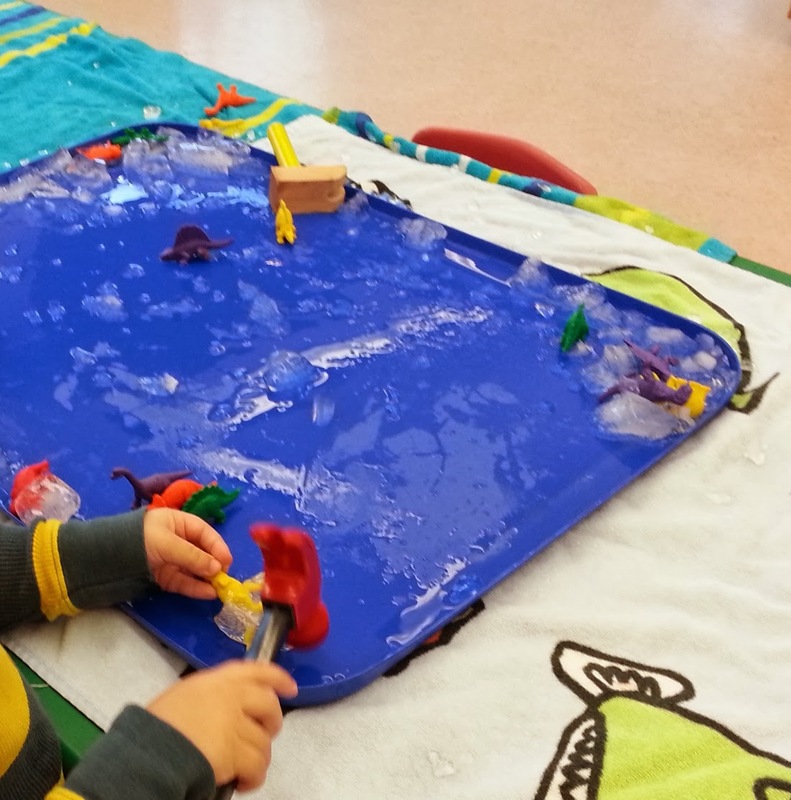 We freeze the dinos in a shallow plastic container and then students use hammers to "free" them. If you have plastic safety goggles, those would be a great prop to add to this station, as well. As you can see in the above photo, all of the dinosaurs have been "lovingly" rescued! Another way for students to pretend to be a scientist took place at our little makeshift sand pit. We hid some Milk Bones (stolen from my poor, unsuspecting dog) in a shallow bin of sand. 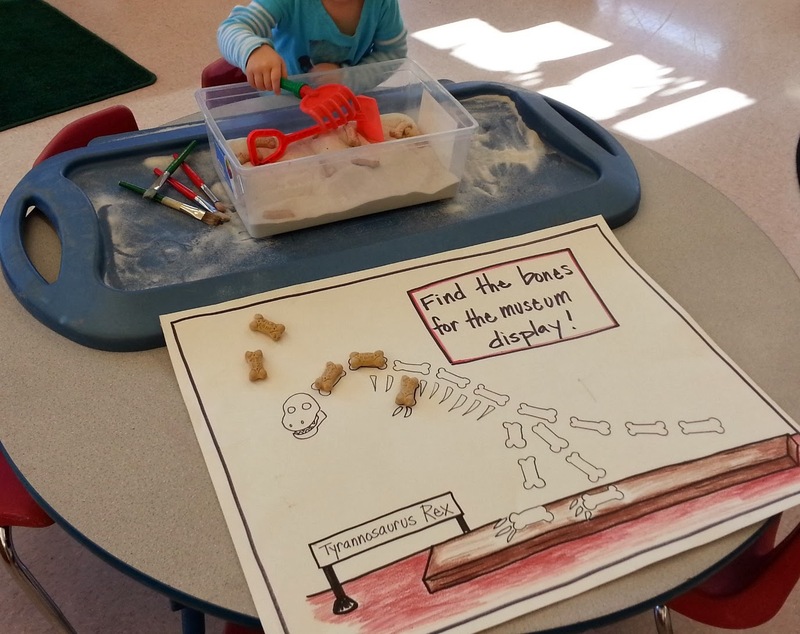 Students were instructed to find the bones hidden in the pit, clean off the sand with a brush (like real scientists) and then set up the bones in the "museum display." The students enjoyed this activity so much that I decide to include a similar I'm a Paleontologist activity in my Dinosaur resource unit. 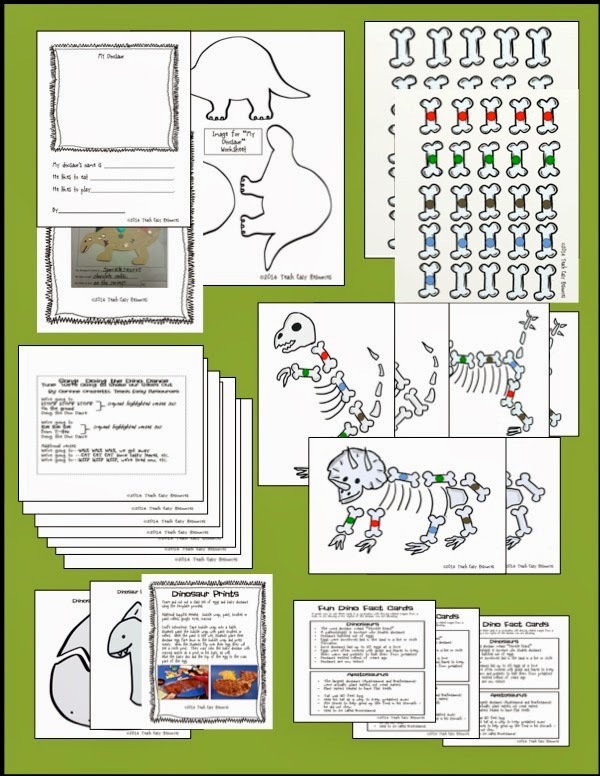 In my resource unit, I included six printable activity mats featuring three different dinosaur skeletons. Three of the skeleton mats include bones that need to be colour matched, and the other three include blank bones so that teachers can have the option of tailoring them to a particular skill that they want their class to practice. For example, bones that need to be matched by numbers or letters. 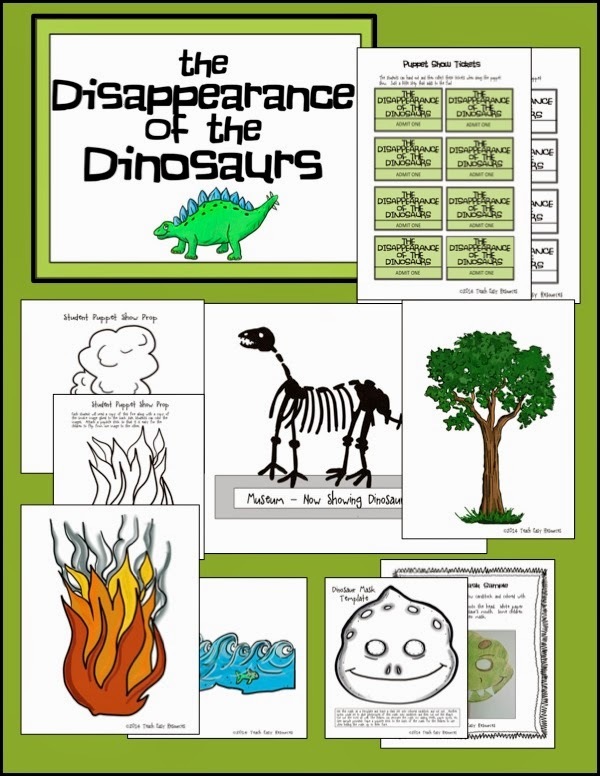 You can see the I'm a Paleontologist game in the collage below, along with some other activities. 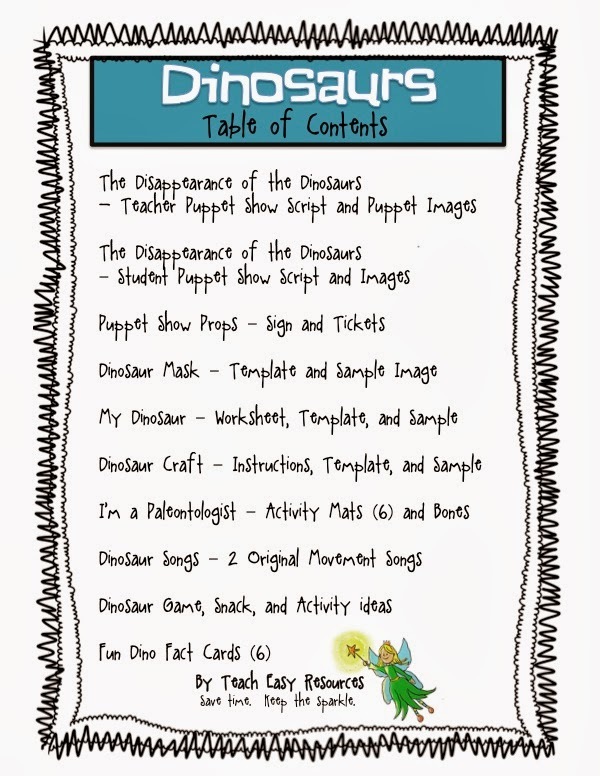 If you are thinking of doing a dinosaur theme with your class, check out the complete list of ideas included in my Dino Unit below. If you'd like to take a peek at this unit in my Teachers Notebook shop, please click on the image below. I am now running a contest to give away TWO of these units from my shop on Teacher's Notebook. Visit this link if you'd like to enter the contest! Good luck!